An investigation has been launched into the landing of a private chartered aircraft at the Cheddi Jagan International Airport (CJIA), Timehri about 3.20 pm yesterday. The police in a statement today said that in keeping with enhanced security postures and intensified collaboration with management of the various Units /Agencies operating at the CJIA, ranks of the Customs Anti-Narcotic Unit were alerted and conducted a preliminary inspection of the aircraft and discovered certain irregularities which were promptly reported to higher Headquarters. 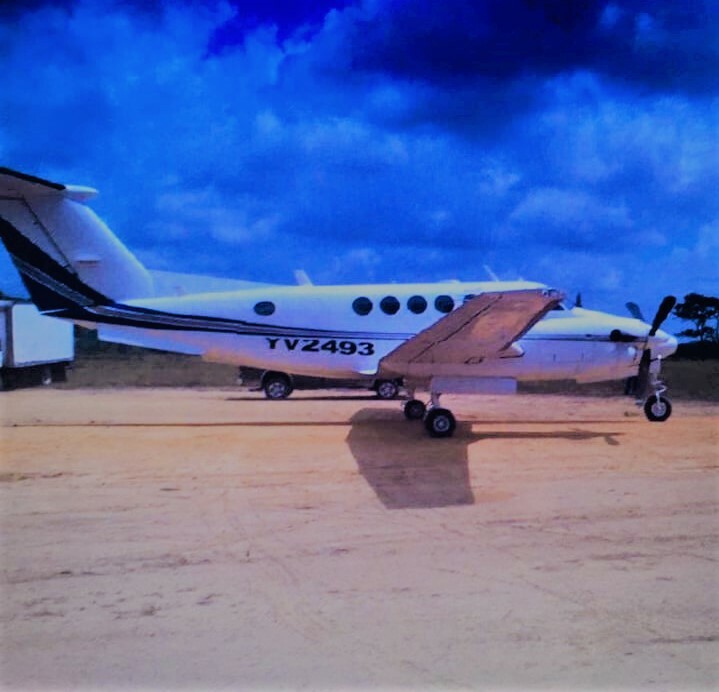 Based on subsequent enquiries made to certain Authorities, it was revealed that the pilots and passengers were invited to Guyana by Michael Brassington who was at the airport to receive them and the “Handling Permission Form“ listed Roraima Airways Inc. as the handling agent for the aircraft. Further enquiries revealed that the registration number on the aircraft may be a false one as another aircraft is reportedly carrying the same registration number and further that the “Data Plate “which contains vital information about the aircraft, is missing. The aircraft has since been detained as the investigation continues.